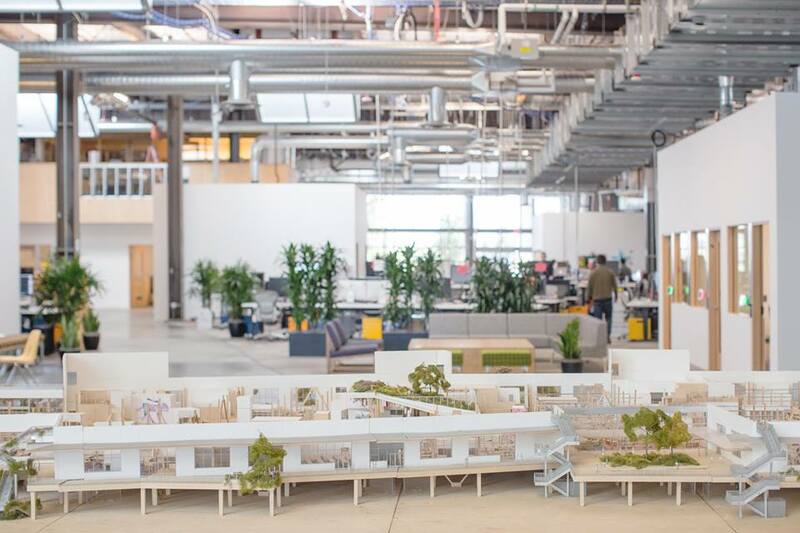 Facebook staff have begun moving into the organisation’s new 4ha Frank Gehry-designed offices in California’s Menlo Park. 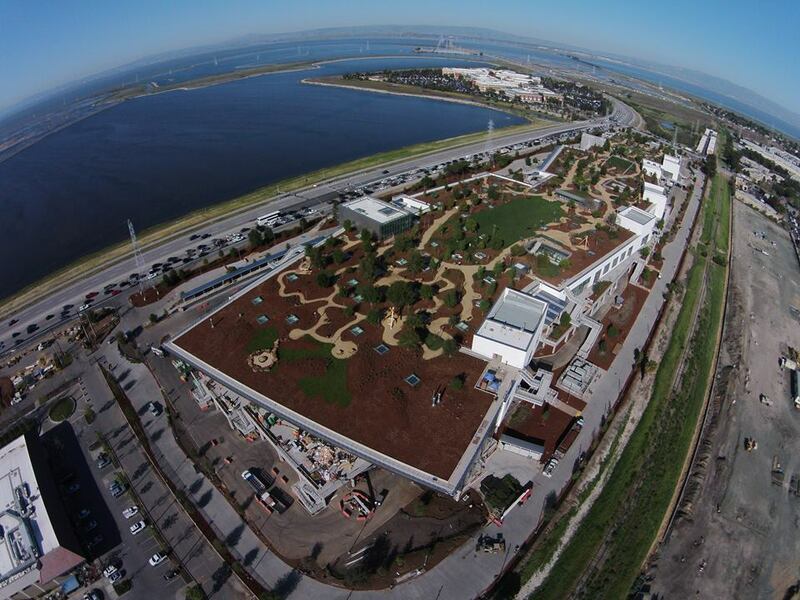 Facebook staff have begun to move into the company’s new Frank Gehry-designed offices in California, which Facebook founder Mark Zuckerberg says have been designed as “the largest open floor plan in the world”. Although no official photography of the building has yet been taken, Facebook staff and visitors have been posting images to Instagram showing artwork and installations at the building – including pieces by artists HENSE, Chris Lux and Maya Hayuk. The building also features a 4ha rooftop park with walking trails and outdoor work spaces. Zuckerberg adds: ‘Frank came back to us and said we should go get other bids and that he would beat them all — and he did. As I learned, most building construction wastes a lot of materials and time due to poor planning. Frank has designed special software to assist in his architecture, so he’s very efficient.